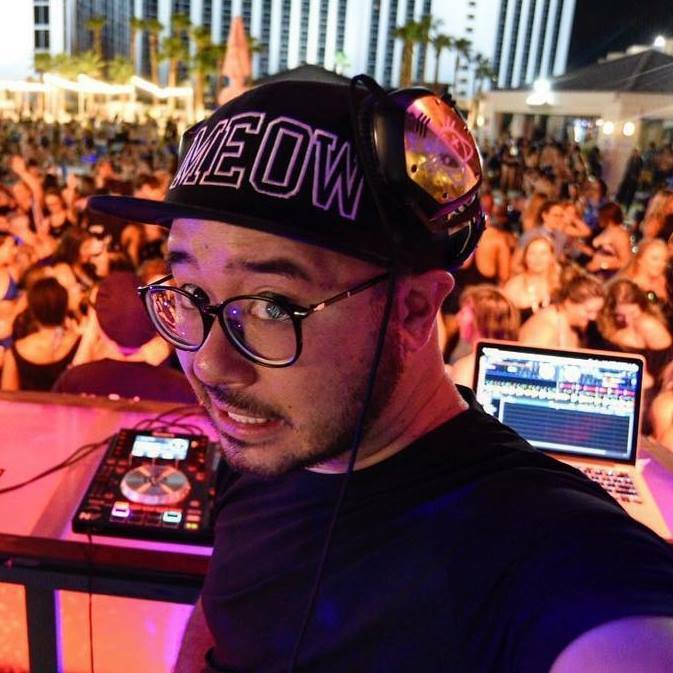 If you’ve been around derby for a minute or more, there’s a good chance you’ve jammed out to the magical playlists of Keary Ortiz (better known as DJ Agent Meow). And if you haven’t had the pleasure yet, well, we highly encourage you to seek out an opportunity to do so. From Black and Blue Balls of RollerCon past, to being a staple at our Wednesday night scrimmages, Meow’s no newbie to the derby DJ scene. Remember the epic timing of a certain The Who song at champs in 2015? Yeah, you can thank him for that one. Clearly, pairing music to those memorable moments is so much more than shuffling your iTunes library. This week, DJ Agent Meow talks with us about his journey with music through derby, and what it takes to craft a killer set. When and how did you come to roller derby? What attracted you to the sport? I went to my first derby bout in 2005 when I lived in New Mexico but didn’t become a fan of the sport until my partner, Hellslinger, joined the Wreckers in 2010. After a year sitting in the stands, I got up the courage to pull out my dusty turntables and volunteer as a DJ. As someone that isn’t a huge sports fan, I was drawn to roller derby because of the many artists that played the game and the important role of music in the game itself. In the beginning, I spent more time creating branding and propaganda for the Wheels of Justice than I did DJing; the artistic nature of the derby community certainly inspires one to dabble in all expressive mediums when promoting the game. What do you think about the sport’s—and RCR’s— growth and evolution? Since I first started volunteering as a DJ for Rose City in 2012, I’ve been lucky enough to follow the game from fishnets to compression pants, and watch as the rules streamlined and gameplay intensified to match the very fluid evolution of the skaters.  The Rose City Rollers have been blessed to be at the forefront of this evolution, and I’m happy that I tagged along all these years. What has been your most memorable experience as a DJ at a roller derby game? Playing Baba O’Riley for the last jam of Gotham/WOJ at the Roy Wilkins Auditorium in St. Paul, MN in 2015. Nothing could ever top that moment in time, if I DJ’d this sport for 100 years. What do you see as the relationship between music and derby? To me, it’s a symbiotic partnership, almost wholly unique to this sport alone. I feel like classic Texan banked-track revival roller derby was built entirely atop alternative youth culture raging out of the 90’s, a culture which was extremely music-driven, and one that permeated into all aspects of derby- skater names, uniforms, bout themes, soundtracks, lifestyles outside the game etc. While we’ve moved our game far closer to the CrossFit gym than the dive bar, there are important facets of that alternative culture that remain necessary tenants of the sport, a loud and proud soundtrack being one of them. What’s it like watching a bout – both in terms of the gameplay and audience engagement – from The Hangar’s mezzanine? As a DJ, it’s important to see the whole crowd and the skaters when trying to concoct a soundtrack, as things can change on a dime and so must the music. As a fan of the sport, though, it’s frustrating. You get a much better view up there, you can always see when someone got by on the line who shouldn’t have, or when they were in-bounds but were called anyway. “Dance parties” by one skater, a line up, everyone on the track, or a bench tends to be a fan favorite: what’s it like as the DJ when you see skaters start dancing? It’s always fun to see dance parties, but to me, that’s a sign that the official review is taking too long and a reminder to switch out of “game” DJ mode and into “entertainer” mode. DJing roller derby isn’t about making people dance; it’s about crafting a soundtrack that accurately portrays the intensity on the track to the audience. I have very different sets of songs that I play during games and during halftime, and if you happen to hear top-40 pop hits or Earth, Wind, and Fire in the midst of the game itself, it’s likely that I’m trying to entertain the crowd during an especially lopsided bout. I don’t have any specific favorite songs for roller derby as it’s completely subjective, based on the intensity of the game, who’s playing, and how the crowd’s reacting. There are certain “on the nose” hits that are shoe-ins, Thunderstruck by AC/DC being one of the more obvious, but I will play (and have played) any type of music from classical to country to death metal to broadway to dubstep if the mood calls for it. A great derby soundtrack is one that accurately represents what’s going on in the game… unless the game is really, really lopsided and uninspiring in which case a good derby soundtrack is Commodores into KC & The Sunshine Band into Jackson 5. One thing I try to do is to beat match my whole set, to flow the music into a single continuous piece that the audience might not explicitly notice, but adds to the overall quality of the derby experience.